We revisit the following question: what are the minimal assumptions needed to construct statistically-hiding commitment schemes? Naor et al. show how to construct such schemes based on any one-way permutation. We improve upon this by showing a construction based on any approximable preimage-size one-way function. These are one-way functions for which it is possible to efficiently approximate the number of pre-images of a given output. A special case is the class of regular one-way functions where all points in the image of the function have the same (known) number of pre-images. We also prove two additional results related to statistically-hiding commitment. First, we prove a (folklore) parallel composition theorem showing, roughly speaking, that the statistical hiding property of any such commitment scheme is amplified exponentially when multiple independent parallel executions of the scheme are carried out. Second, we show a compiler which transforms any commitment scheme which is statistically hiding against an honest-but-curious receiver into one which is statistically hiding even against a malicious receiver. A preliminary version of this paper appeared at Haitner et al. 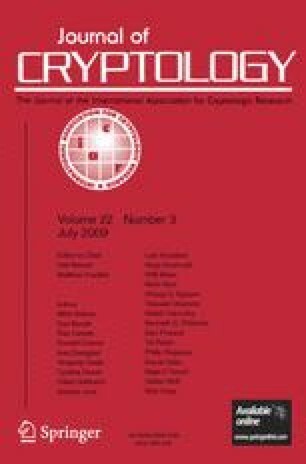 (Advances in Cryptology—Eurocrypt 2005, pp. 58–77, 2005). Research supported by US-Israel Binational Science Foundation grant 2002246. Research of O.H. supported by U.S. Army Research Office award DAAD19-01-1-0494. Research of J.K. supported by NSF CAREER award #0447075. Research supported by US-Israel Binational Science Foundation grant 2004329.